Every day I see countless examples of works that feature some sort of rare positioning. 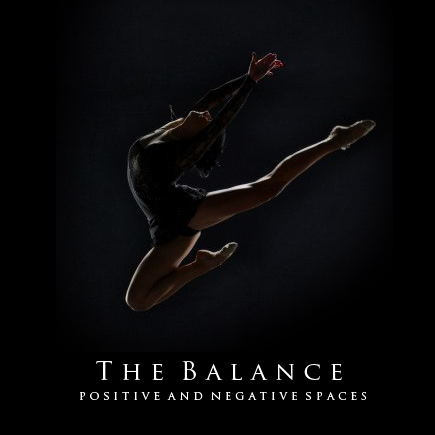 From contemporary sculptures and perspective illustrations, to dance coreographies and intimate photographs, the element of balance is at work in Art all the time. The thing that most people know, is that balance represents the ratio between a positive and negative space, just like the presence and/or absence of matter in a black : white ratio. This is easy enough to understand, however in most of the artforms I am familiar with, I’ve observed the element of balance to clue so much more. What kind of balance intrigues people? Well, in sculpture and dance for example, I’ve noticed that much of the art’s balance impact comes from the rarity of the moment; the impossibility of what’s happening. If a dancing figure, sculpted or human, balances a diagonal, heavy torso on one toe, it attracts the attention of the eyes. Why is this? Because it almost defies gravity. People seek out a ratio of balance that defies the common and the ordinary. In truth, they want an unbalanced ratio, something they themselves can question and marvel at.